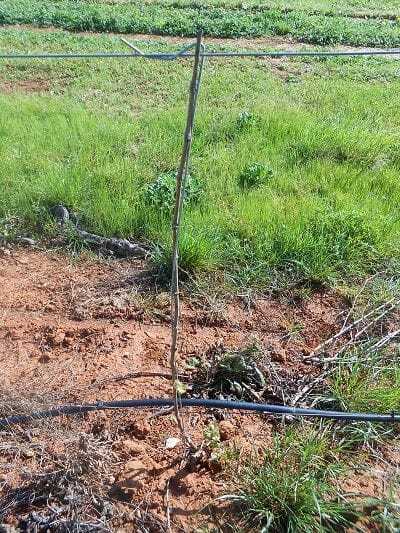 More than 2 million olive stakes in 6.3mm diameter galvanised wire up to 3.0m in length, have been produced over the last 10 years to supplement the growing olive grove planting in Australia. Stakes can be produced in any diameter up to 8mm. 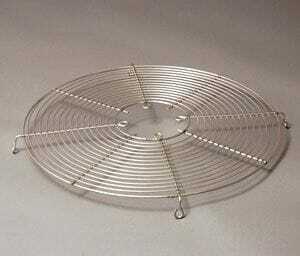 Galvanised wire offers protection from weather. End form can be specified by the customer. MSI manufactures and supplies guards for a variety of agricultural applications including stainless steel guarding for irrigation fan units, guards for chicken pen fan enclosures and other farm applications. 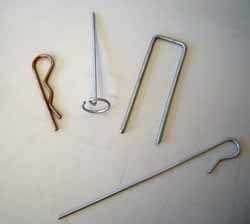 Multislide manufacture a variety of Irrigation pins and pegs, Mat staples and Clips and supply to major distributors. 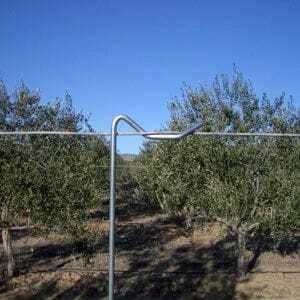 Multislide manufacture trainer wires for vines. 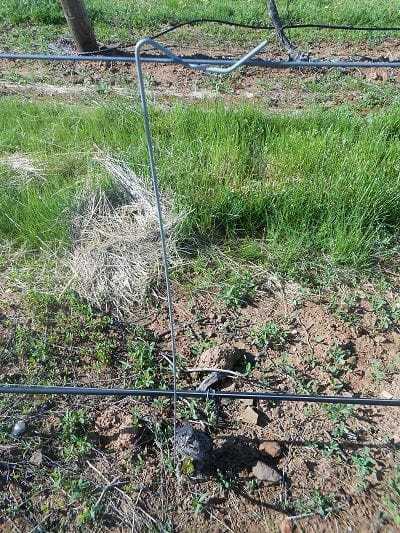 Similar principal to the olive stakes in that they lock onto the support wire but made from dia 2.8mm galvanized spring wire to be light but strong and flexible. 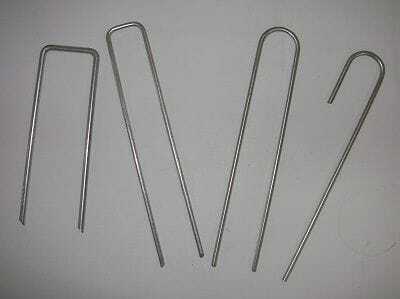 These can be any length but 1.2m is typical.